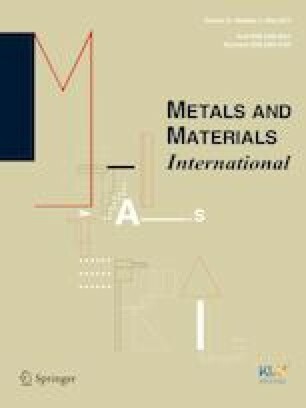 To explore the ductility, a novel Mg–8.41Li–1.80Al–1.77Zn (designated as LAZ822) alloy was fabricated by casting, hot rolling and friction stir processing. The maximum elongation to failure of 489.5% was demonstrated in a fine-grained LAZ822 alloy at a temperature of 573 K and an initial strain rate of 1.67 × 10−4 s−1. The true stress exponent of 2, the grain size exponent of 2 and the activation energy of 89.44–121.14 kJ/mol confirm that grain boundary sliding controlled by lattice diffusion governs the rate-controlling deformation process at the temperatures of 523 and 573 K. The viscous resistance models of dual phases were newly established. At 573 K, the lattice viscous resistance of the α-Mg phase is 2644 times as large as that of the β-Li phase, whereas the grain boundary viscous resistance of the α-Mg phase is 3.3 times as large as that of the β-Li phase. Some α-Mg grains remain in an equiaxed state while the other α-Mg grains become connected at elevated temperatures. This experimental evidence corroborates the existence of dynamic grain connection growth. Cavity growth mechanism maps were constructed. The maps reveal that power-law cavity growth or strain controlled cavity growth is the predominant cavity growth mechanism. This work was supported by the key project of National Natural Science Foundation of China [Project No. 51334006]. The author (Furong Cao) also appreciates the help from Si Yuan Liu and Rui Kang Su during the preparation of this manuscript.